How many kilojoules are in your usual night at the bar? Doing maths with kilojoules is probably not part of your fun night out. Instead, here's a calculator that will give you a good estimate before (or after) the fact. It's an American site, so it uses calories instead of kilojoules, but that's rectified by a quick unit conversion. 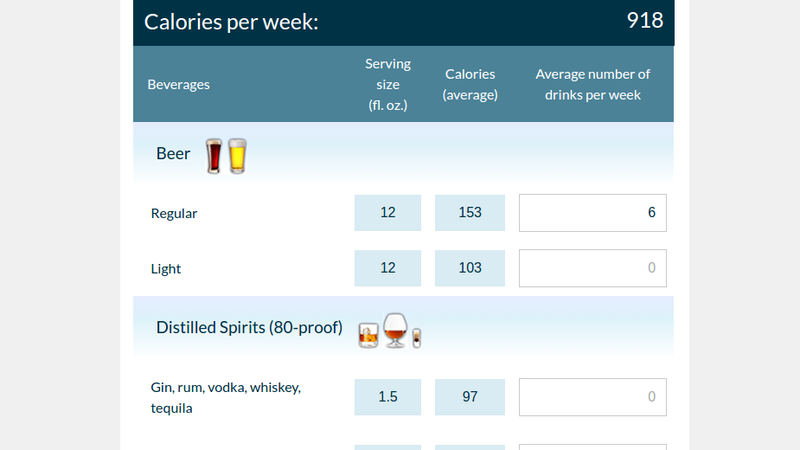 To use the calculator, just say how many drinks you'll be having, of each type: Regular and light beer are items on the list, for example. There are also several items in the liquor, wine and cocktail categories. You can adjust the size of the drink, too, so you're not stuck with somebody's idea of a standard pour when you know your drink your margaritas out of a fishbowl. Then just convert calories to kilojoules. The result might not be exact, but it should be enough to help you calculate a kilojoule budget for the week. If you drink the same stuff week to week — whether that's a nightly glass of wine, or a predictable weekend party schedule — just divide by seven and work the extra kilojoules into your goal for each day. Travel insurance is one of those things that you really should have, especially for international trips. And while it can add a few dollars to cost of a holiday, the peace of mind it provides should something go pear-shaped is well worth it. But aside from cancelling your trip or needing medical assistance, there are several other things you could claim through travel insurance. Everyone poops. But not everyone poops the same.